American Autowire is a premier wiring and electrical component brand for the Mustang aftermarket. They offer complete classic update chassis wire harness kits for the classic Mustang, Fox Body Mustang and other Ford and Mercury cars. 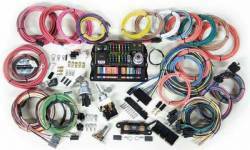 They have a reputation of providing top-notch wiring and electrical components to update your classic Mustang's wire harness to handle the demands of today's modern upgrades. Their Classic Update Wire harness kits include many of the correct factory connections and components to help make your installation go smoothly. In many cases they provide correct Ford style switches and even original switch connector bodies - an American Autowire exclusive! The Classic Update kit also feature new modern ATO fuse boxes which tuck neatly under your Mustang's dash and provide easy accessibility to fuses. Stang-Aholics has tried many different wire harness kits, and we believe the American Autowire kits are the best quality and most complete wiring kits on the market today! 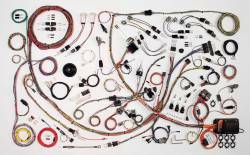 Don't overlook your Classic or Fox Body Mustang's wiring! Your Mustang's original wiring has seen better days and is probably in need of repair or complete replacement. Plus, your Mustang's original wiring was never designed to handle the requirements of today's modern electrical upgrades like: high powered stereos, performance headlights, electric windows, fan kits and many other upgrades found in today's custom Mustang builds. Why Buy an American Autowire Kit for your Mustang? American Autowire (AAW) was founded back in 1983 in Laurel Springs, NJ. 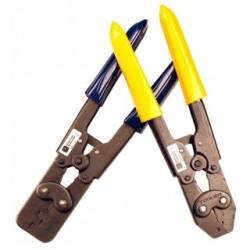 They have grown through the years as a premier automotive wiring company in the USA and now have over 38,000 Sq. feet of manufacturing space in Bellmawr, NJ. With many years manufacturing and designing automotive wiring harnesses and electrical components, they have now become the premier automotive electrical manufacturer for OEM/Restoration, Modified Restoration, and Street Rod/Custom vehicles. 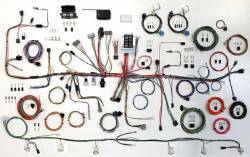 They currently offer 6 different product lines of wiring harnesses, accessories, and parts that cater to all types of custom automotive projects. 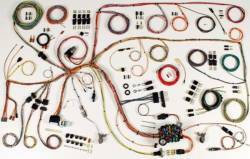 American Autowire produces a huge selection of wiring harnesses, accessories, kits, and components that any true rodder or classic Mustang restorer can appreciate. They now offer over 9,000 original restoration wiring harness, switches, battery cables, and spark plug wire set combinations in within their Factory fit product line, complete modified restoration chassis wire harness kits in their Classic Update series for the Classic Mustang and Fox Body Mustang. AAW also provides integrated fuse panel and modular fuse panel street rod wiring through in their Power Plus, Builder and Highway series wire harness kits.